Home Coming shared their master bathroom makeover. Beautiful! 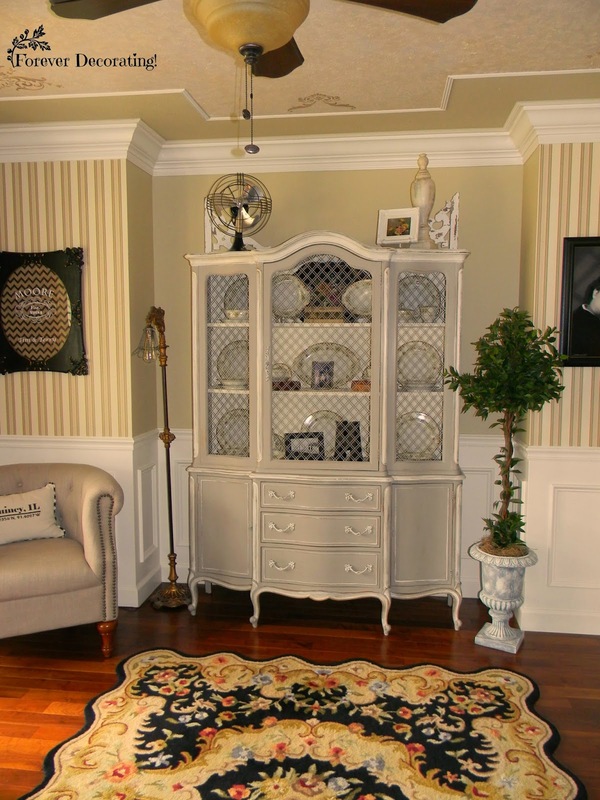 Forever Decorating transformed a Drexel French china hutch that she bought for $40!! What a gorgeous makeover. 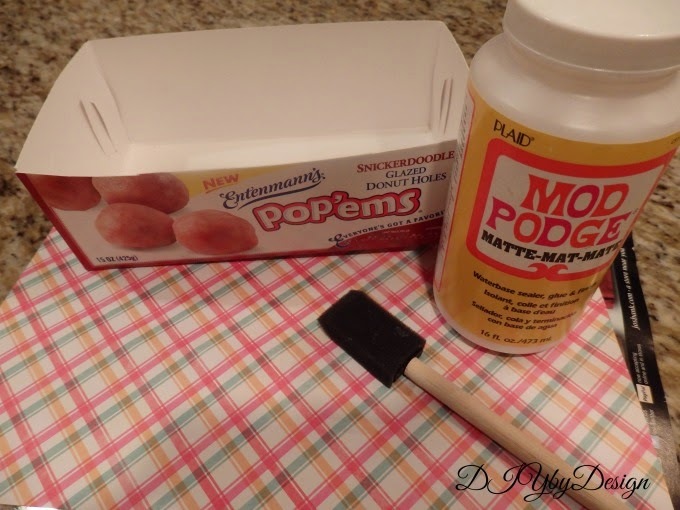 Techies DIY Adventures gives an awesome tutorial on how to create this no sew faux roman shade. Love the fabric! 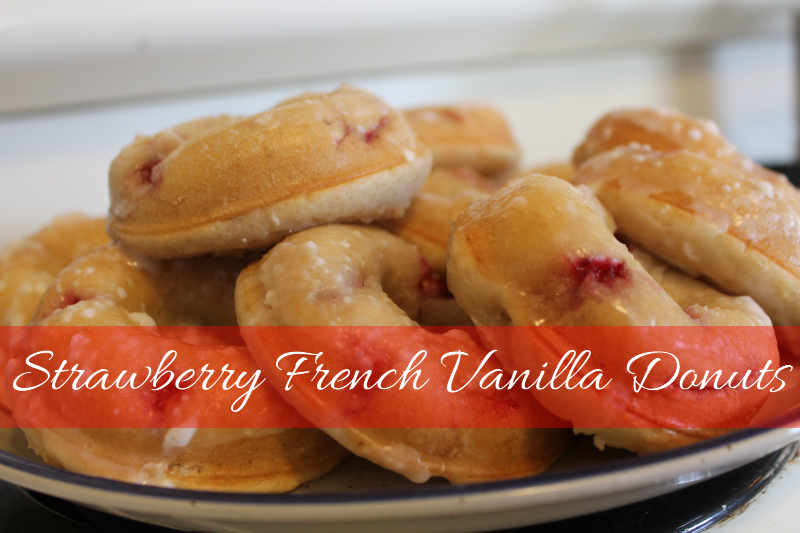 Scrapality shared a recipe for strawberry french vanilla donuts. Wow those look so yummy! This is a project I have been wanting to try for a while now. I had the supplies already, so it was just a matter of actually sitting down and trying it. For the colored clay bowl, I mixed blue and pink together and rolled it out. I then placed the lace over the clay and pressed it into the clay to make the impression (which shows up much more in person than in photos). 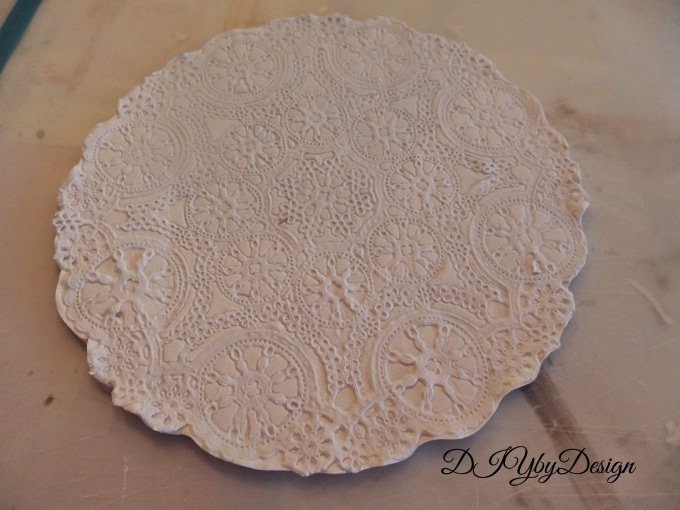 I carefully cut around the lace any excess clay. Then I laid it over a small pyrex bowl and put it into the oven at 275 degrees for 15 minutes. 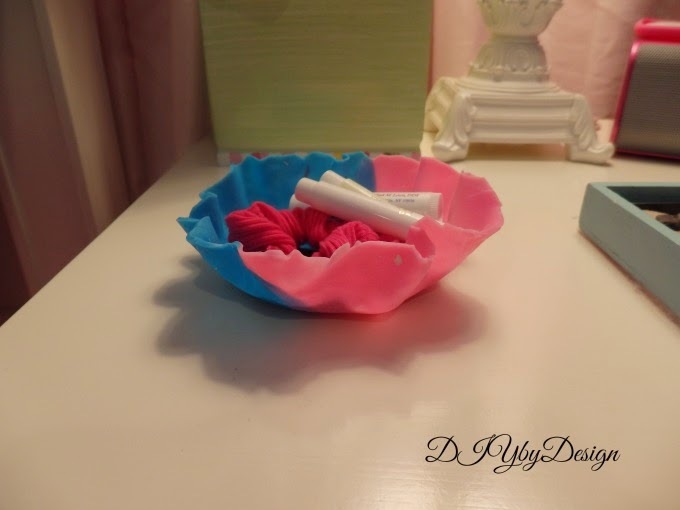 I put this cute little bowl in my daughters room for hair clips etc. The other bowl I made using white clay. 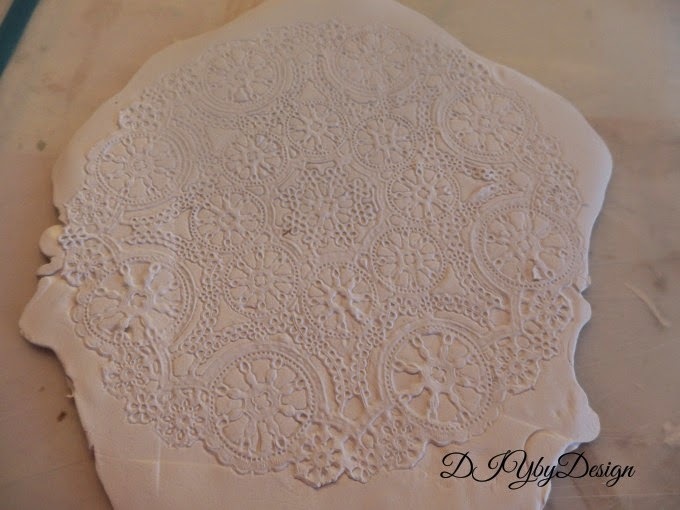 For some reason the lace seemed to show up much better on the white clay. 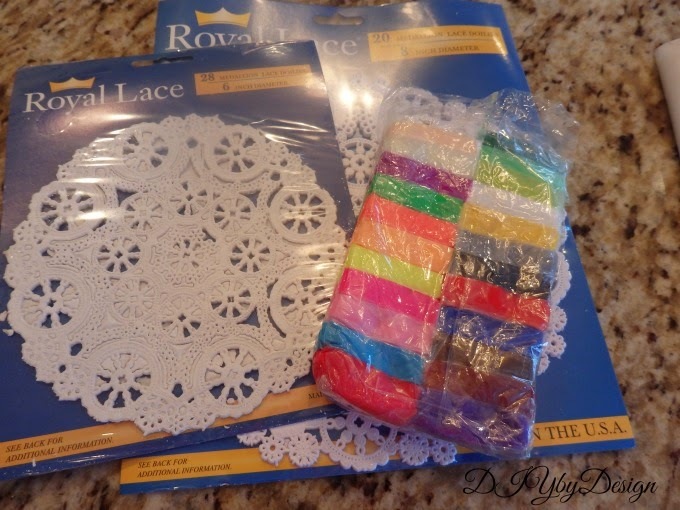 Again I cut around the lace using a sharp knife. I again laid it over the pyrex bowl, but this time made a more square shape out of the clay. 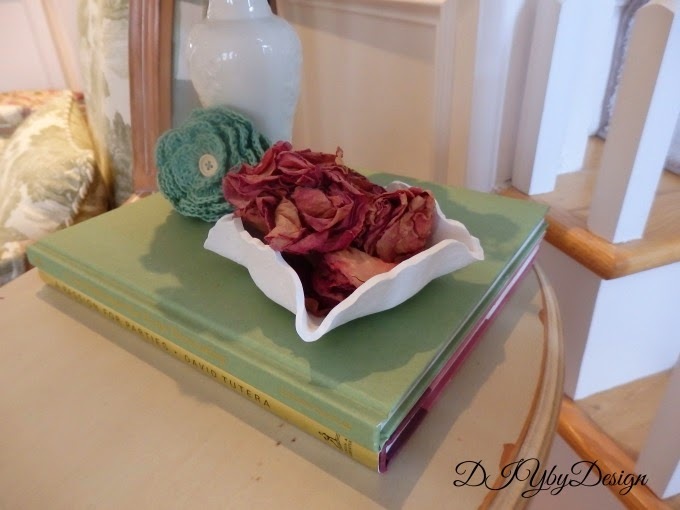 I filled this bowl with dried roses and added it to my living room. 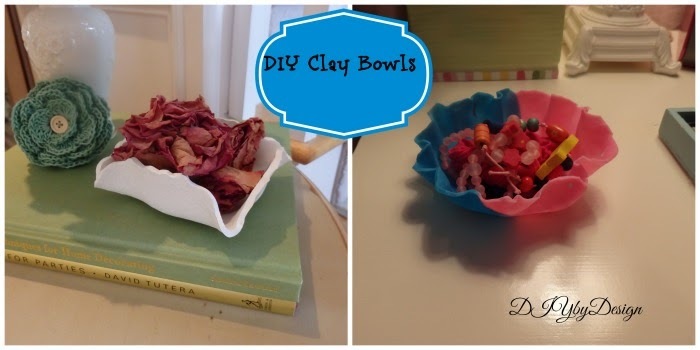 Hope you will give these super easy bowls a try. Sometimes you have those days where you are feeling down and blue and then something nice happens to turn your day around. That's what happened to me yesterday. I still don't feel 100% as I try to recover from the flu. My energy level is way below what it normally is and overall I was feeling just a little blah. Then yesterday I got a call in the middle of the day from our local florist saying there was a delivery for me. Ooh...who were the flowers from? 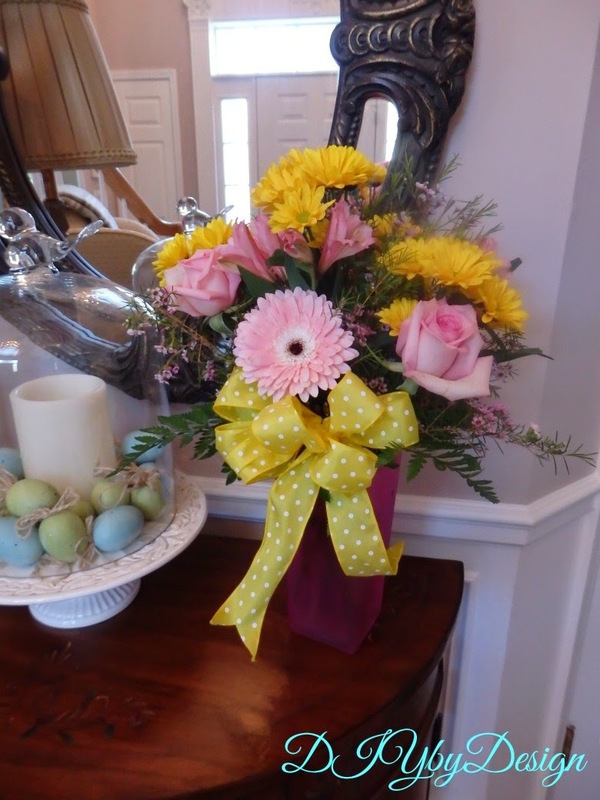 The beautiful flowers were from my mother-in-law and her boyfriend and they turned my day around. They make me smile each and every time I walk by them. What a special gift just when I needed it. Last week's party was filed with so many great ideas and inspiration. 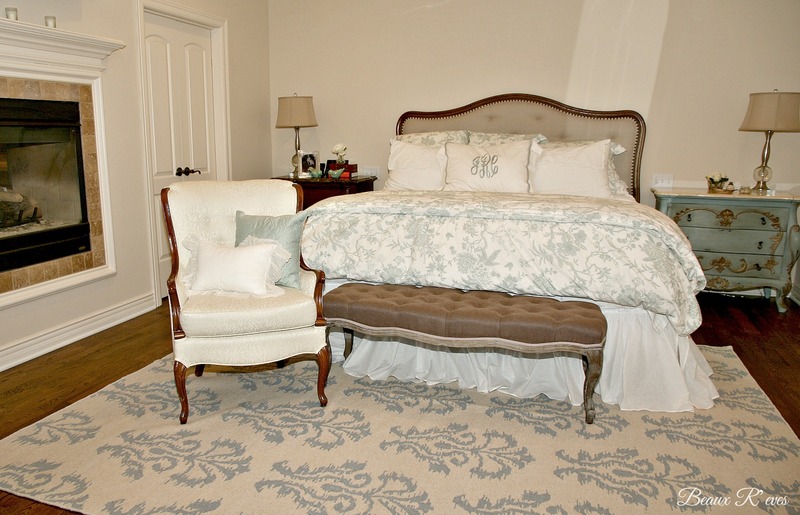 Beaux R'eves updated her master bedroom with a new rug from One Kings Lane. Love it. 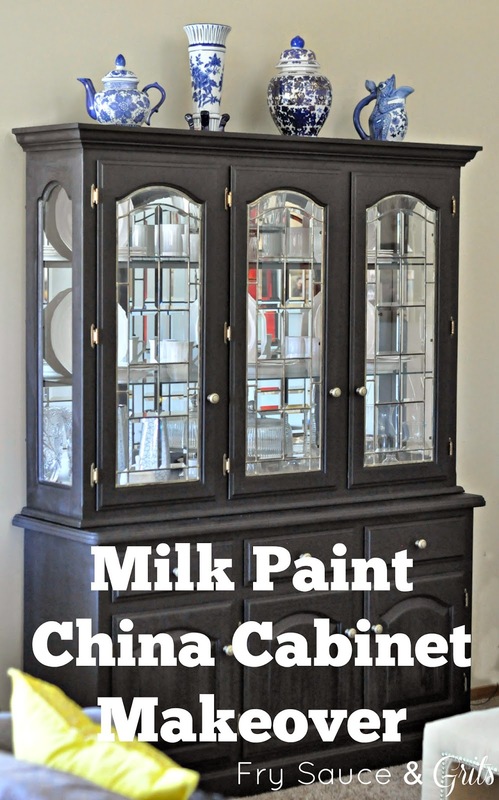 Fry Sauce and Grits gives a great tutorial on how she transformed her china cabinet using milk paint to create this beauty. Jewelry Making Journal gives a great tutorial on how to create this stamped quote charm bracelet. 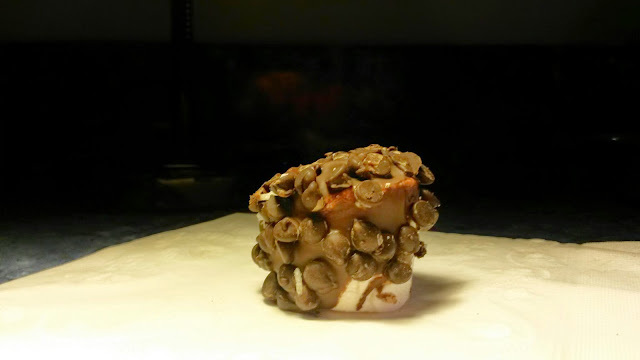 Looking for something yummy and sweet - how about these double chocolate covered marshmallows by Sweet Silly Sara. It's been a rough week. Last Tuesday we were scheduled to leave for Phoenix and Colorado to visit the last two baseball stadiums and go to the Grand Canyon. On Monday I got diagnosed with the flu (and yes, I did have a flu shot). The doctor put me on Tamiflu and antibiotics knowing we were leaving the next day for vacation. When we got to the airport they cancelled our flight due to runway maintenance...seriously?? We spent the day at the airport trying to get on another flight, all the while I felt sicker and sicker. After eight hours we threw in the towel and went home. I then spent the next 48 hours sleeping. It was the craziest thing. Although I am feeling much better, I still don't have all of my energy back. Imagine how bad it would have been without a flu shot. The weather here is finally starting to become spring-like. I thought I would add a bit of spring to my kitchen. I found the pitcher at Home Goods and filled it with some faux flowers. Everything looks better on a tray. This tray was bought at Pottery Barn a few years ago. All I did was line it with wrapping paper to coordinate with my kitchen granite. 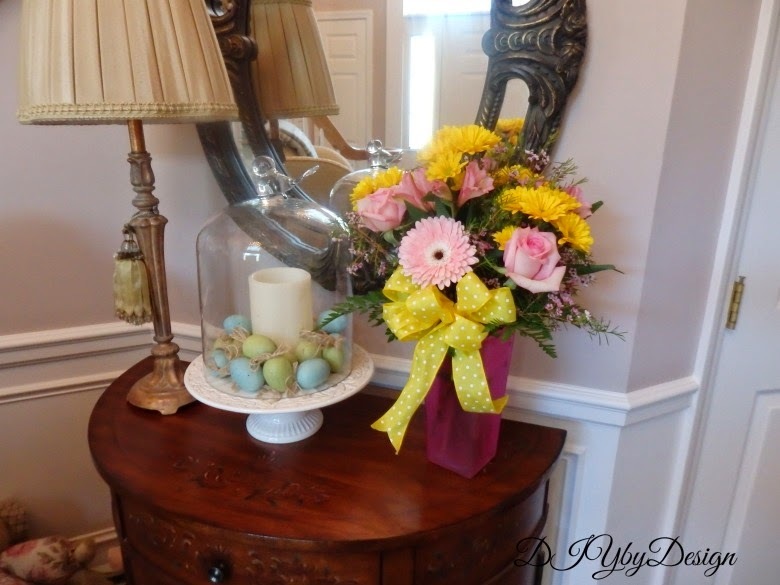 A basket filled with eggs and a few candles and voila...instant spring feeling. Hopefully now that I am feeling better I can get back to some other projects. On a separate note, I 'd like to wish all those running in the Boston Marathon today good luck! 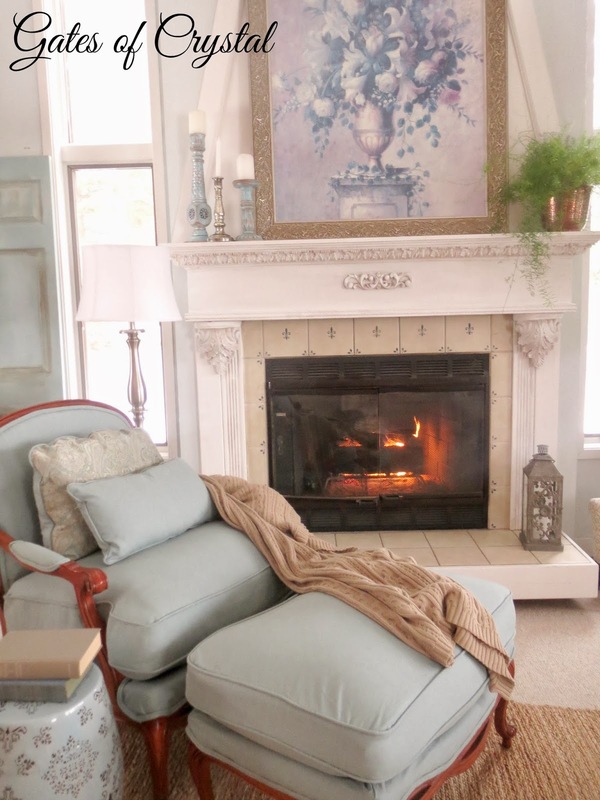 Dixie Delights shared the before and after photos of her den renovation. This is one of my favorite all time makeovers. 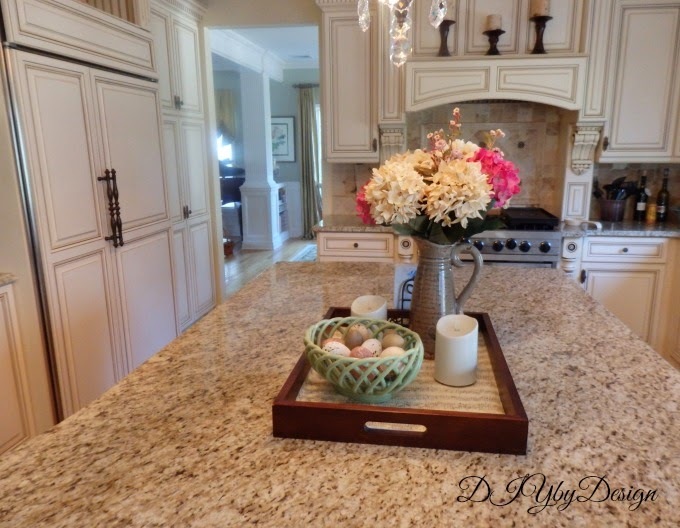 Be sure to check out the before photos to see just how far this room has come. 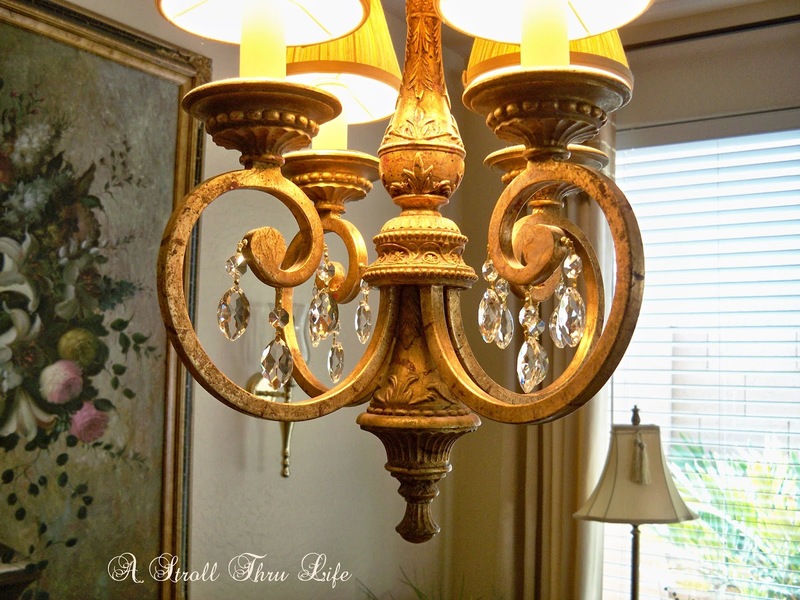 A Stroll Thru Life transformed her chandelier by adding a little bling. She found these magnetic prisms online. What a great way to update a chandelier! 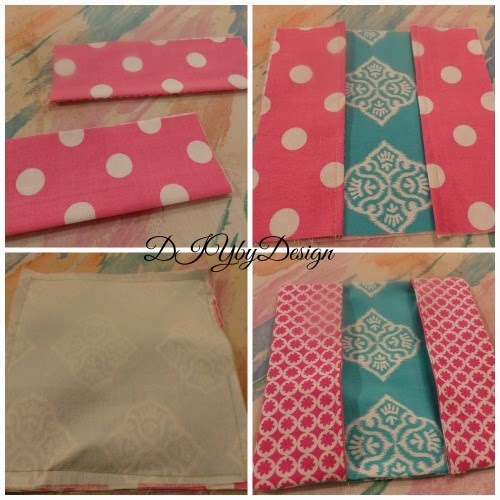 Blissful Sewing shared a tutorial on how to sew fabric covered buttons. 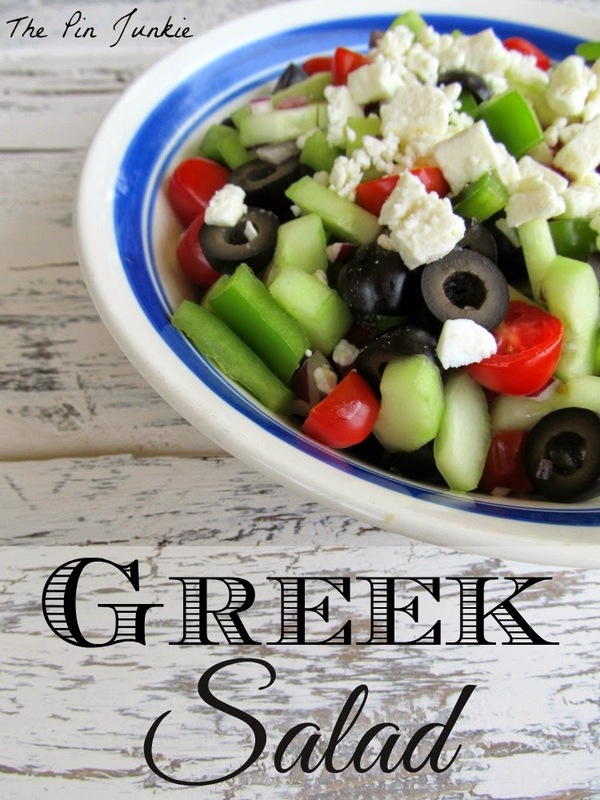 The Pin Junkie shared her recipe for greek salad. Yummy! 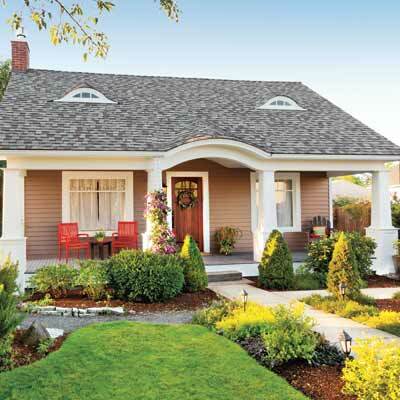 Beaux R'eves shares some tips and tricks on how to stage the outside of your home when you are ready to sell. 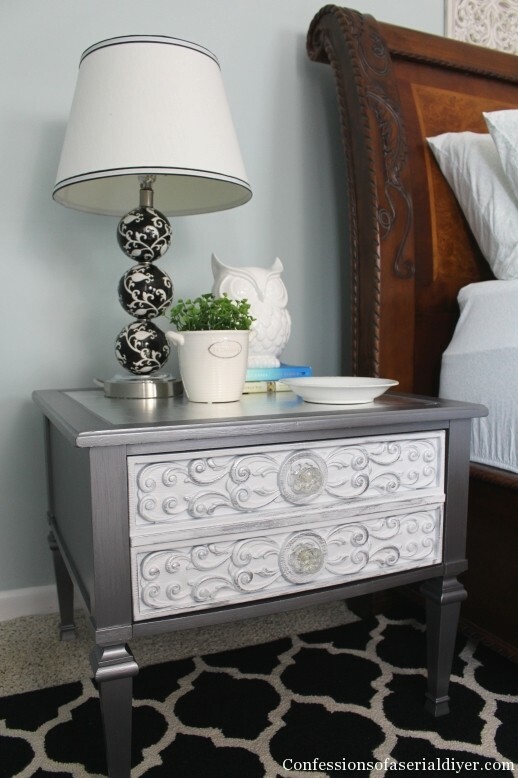 Confessions of a Serial Diyer shared a makeover of how she took a thrift store find and turned it into this glam table. 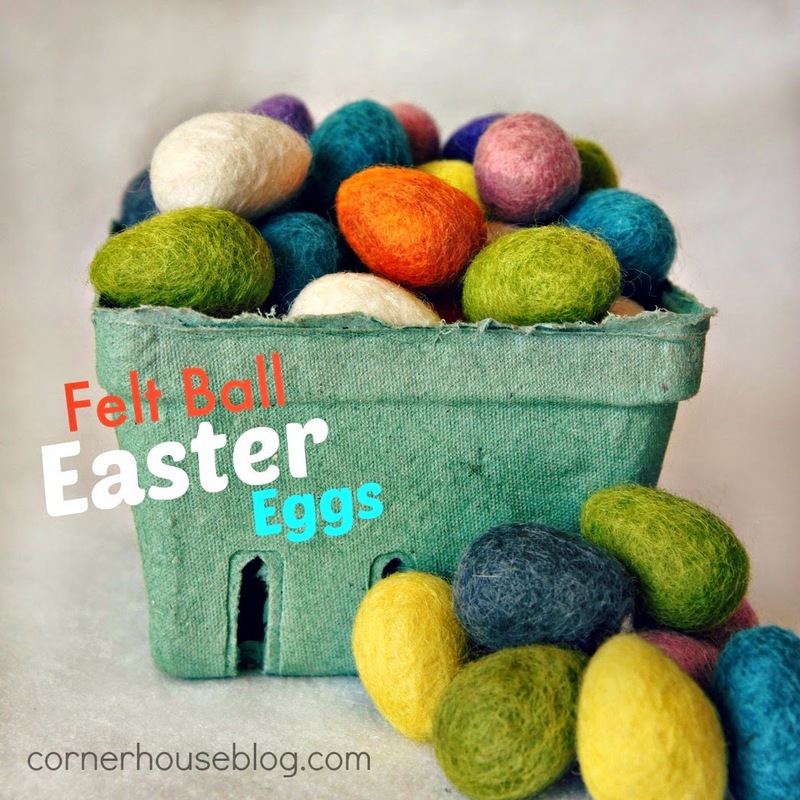 Corner House Blog gives a great tutorial on how to create these felt ball Easter eggs. Celebrate shared a tutorial on how to create these chocolate peanut butter eggs...my favorite. This is a project that I put together out of necessity. I still am a big checkbook user. I know so many people do all of their business online, but for me I still write checks. I carry my checkbook in my pocketbook. 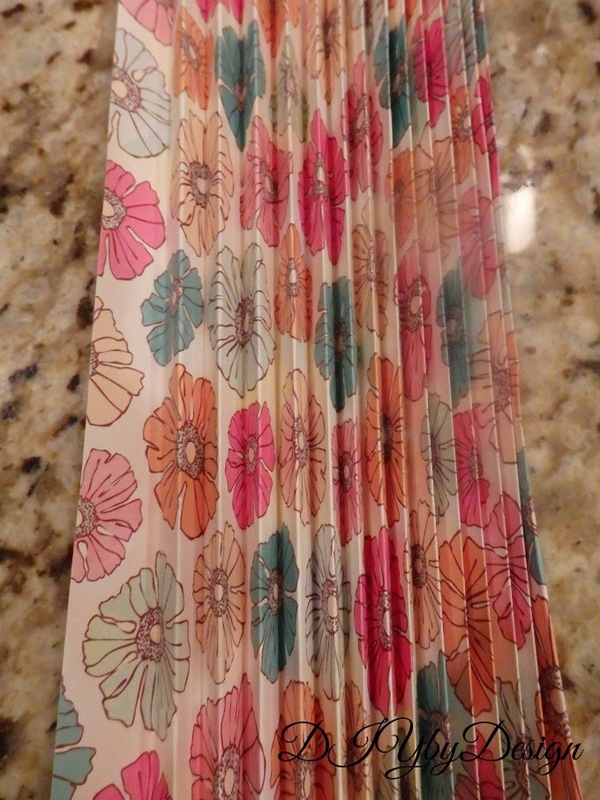 My checkbook cover was the cheap-o plastic cover that comes with the checks. Unfortunately over time these covers crack at the edges. I went into my pocketbook the other day and noticed that the checkbook cover had completely pulled and frayed the lining of my bag. Okay...that is really not cool. It was time for a new checkbook cover. I looked into buying a leather one but really had trouble finding one that I not only liked but was at a decent price point. So instead, I turned my sites on making one. I decided I should make one out of fabric. This is an easy project that I made using scraps of fabric. 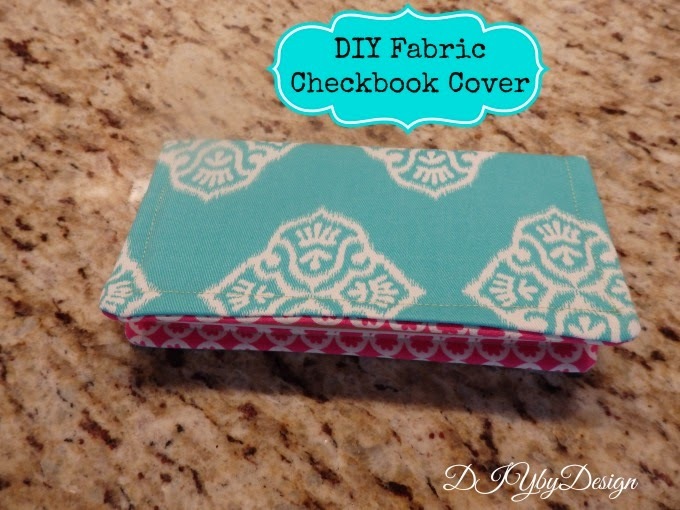 I was sure that I wasn't the first one to come up with the idea of a fabric checkbook cover, so I went onto Pinterest and found a great tutorial. The tutorial gave step by step instructions that I followed exactly. First I cut out all of the pieces I needed for the inside and outside of the cover and the inner pockets as well as fusible interfacing to add body. I sewed the two different pink fabrics together to form the inner pockets. Then attached it to the main aqua fabric. I then sewed the back and front together and left a few inches to turn it back to the right side. Then I sewed all around to complete the checkbook cover. It took me longer to make a decision as to which fabrics I wanted to use from my stash than it took to actually sew it together. 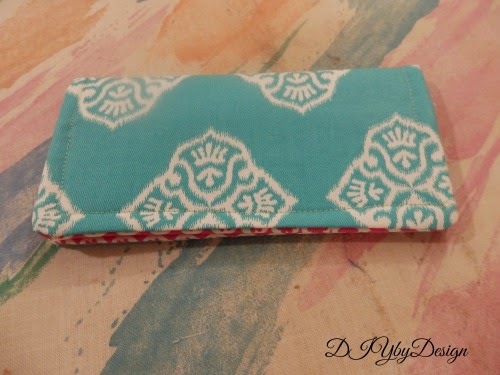 No more sharp edges on my checkbook cover to wreak havoc in my pocketbook. 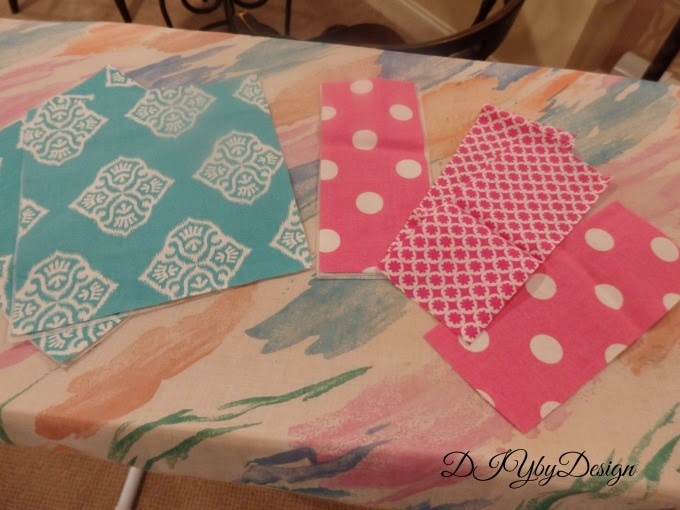 The possibilities are endless with this project depending on your fabric combinations and the best part is you need very little fabric. 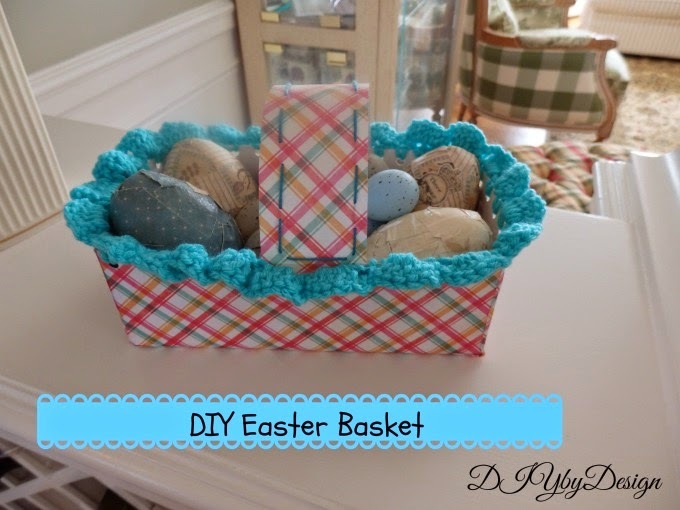 I got the idea for this Easter basket after my kids had some friends over and they went through a new box of donuts in a matter of minutes. 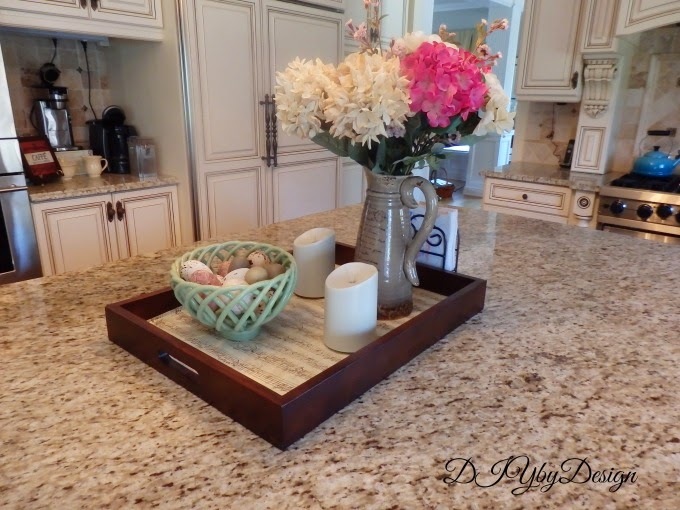 It's really a quick, fun project that you can customize in so many different ways. 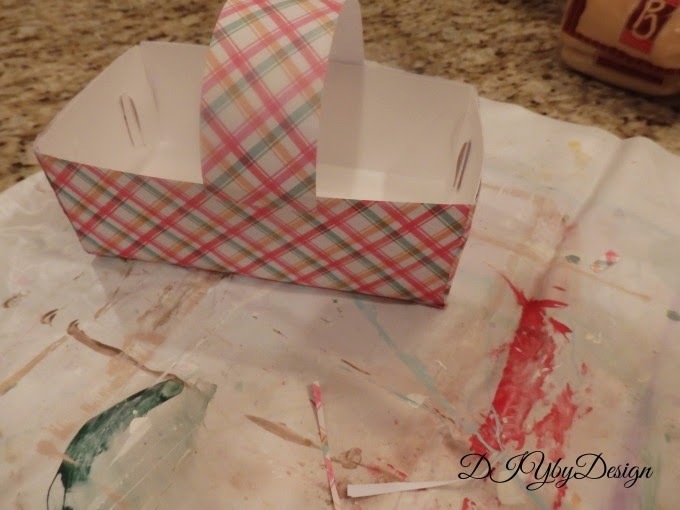 I cut off the lid and covered the outside of the box with a piece of scrapbook paper using mod podge. I was able to cover the entire box and still have paper left to use for the handle. I also attached the handle using mod podge. 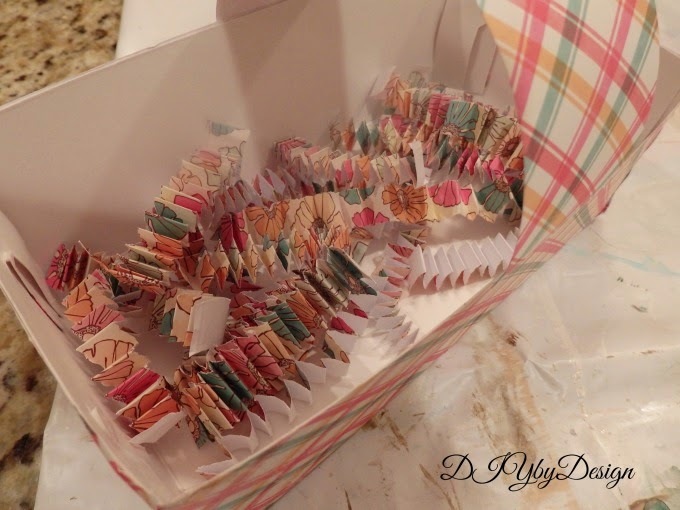 For the "Easter grass" I folded a coordinating piece of scrapbook paper accordion style. Then I cut it into narrow strips and added it to the bottom of the basket. 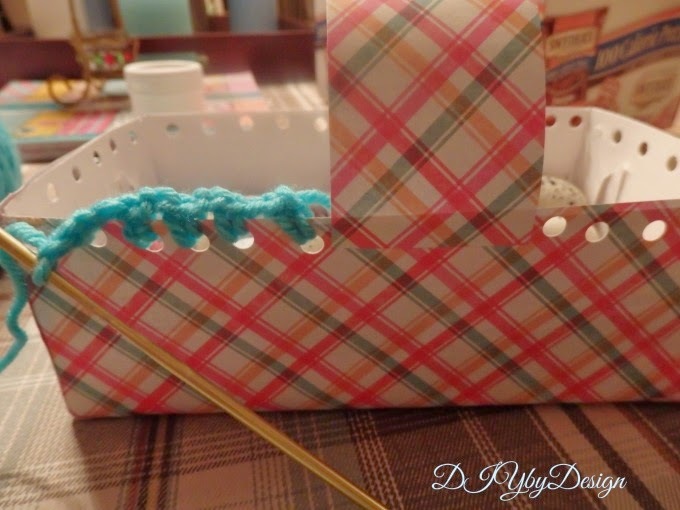 To give it a little more style, I used a hole punch all around the basket edge and then crocheted all around. I just crocheted a basic scallop stitch all around. To finish it off I stitched using crochet thread on the handle. 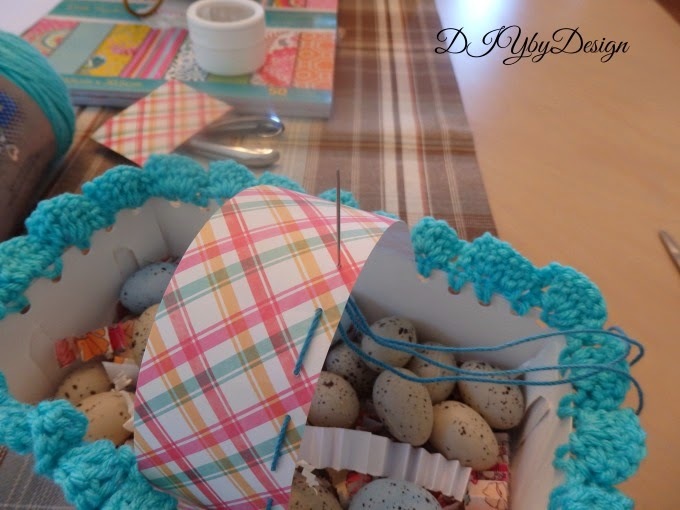 I filled it with an assortment of Easter eggs including ones I decoupaged a few years ago. In just a few minutes I turned a donut box into a super cute Easter basket with things I already had on hand. Can't wait to hear what you think. Attempts at Domestication revealed her living room makeover. Be sure to stop by to check out all of the details. 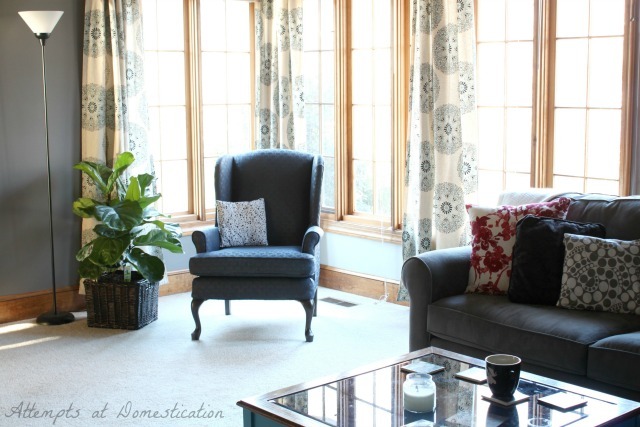 Gates of Crystal gives a wonderful tutorial on how she reupholstered this chair. She did such a professional job! My friend Kathy from Creative Home Expressions created this super cute wood tote. Love it with the hydrangeas. 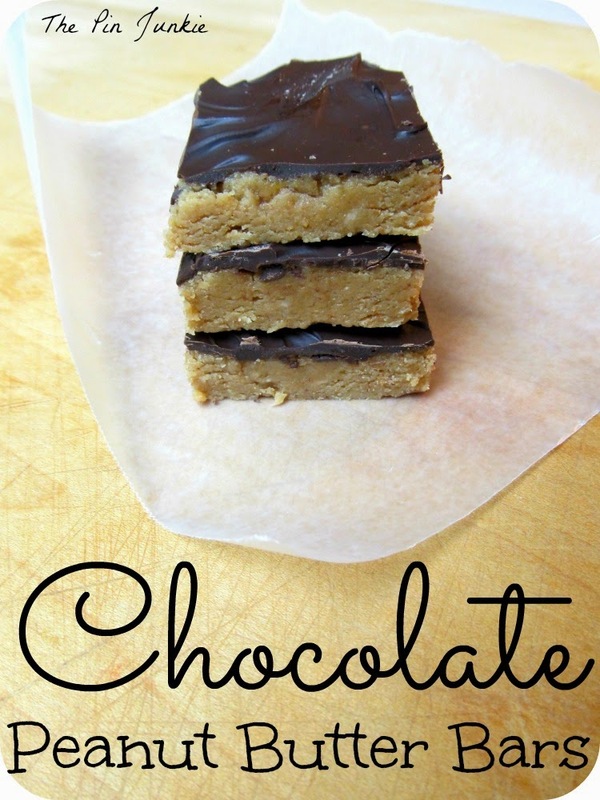 The Pin Junkie shared a recipe for chocolate peanut butter bars. Yummy!